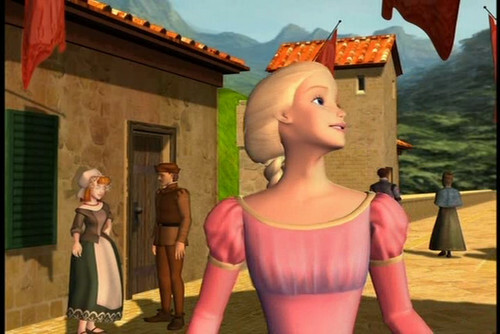 Rapunzel at Town. . HD Wallpaper and background images in the Barbie as Rapunzel club tagged: photo barbie as rapunzel town movie 2002 screencap.